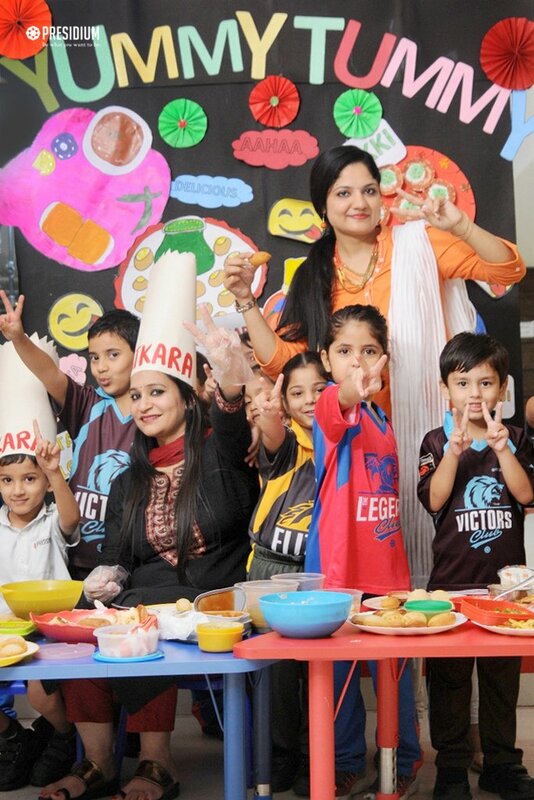 To encourage the children to eat healthy and hygienic food, Presidium Raj Nagar celebrated a 'yummy tummy day' for little Presidians of grades nursery and prep from Raj Nagar. 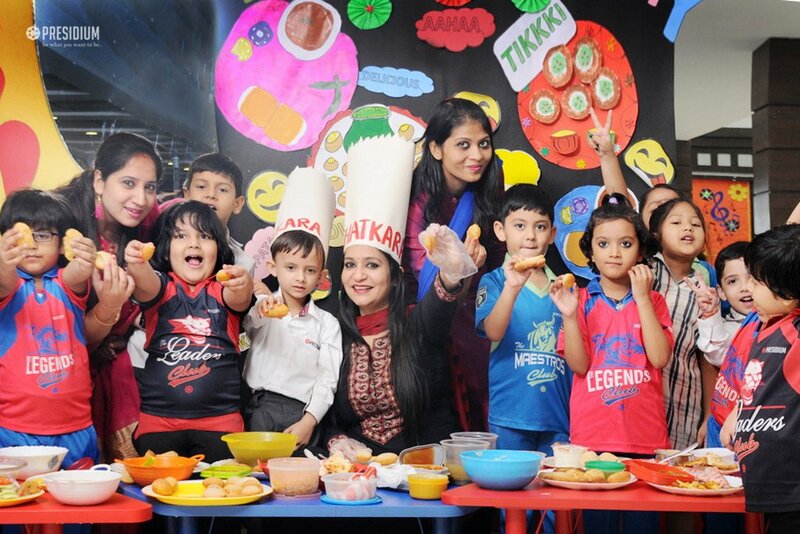 Teachers decorated the activity area with pictures of different variety of foods and displayed all the mouth-watering dishes which children had brought from their homes like Pav Bhaji, Choley Kulche, Dahi Bhalle, Aloo Tikki and Golgappe. 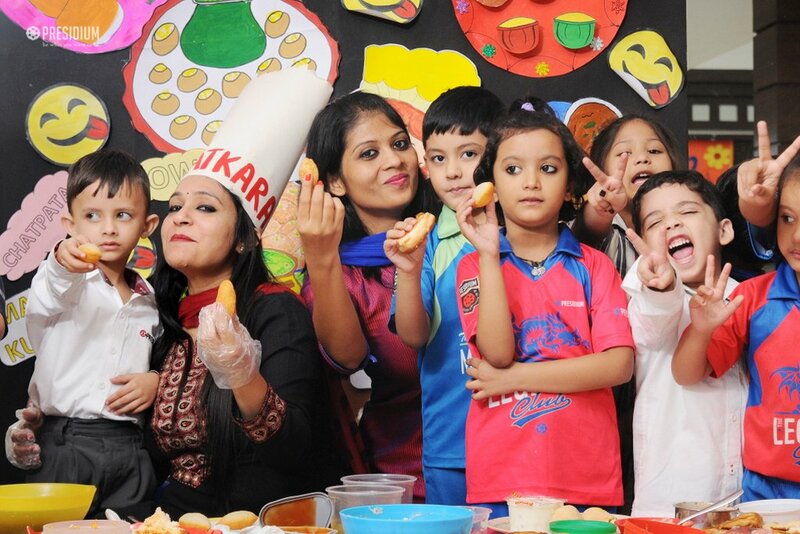 The food was so tempting that all children were quite eager to taste the delicacies. 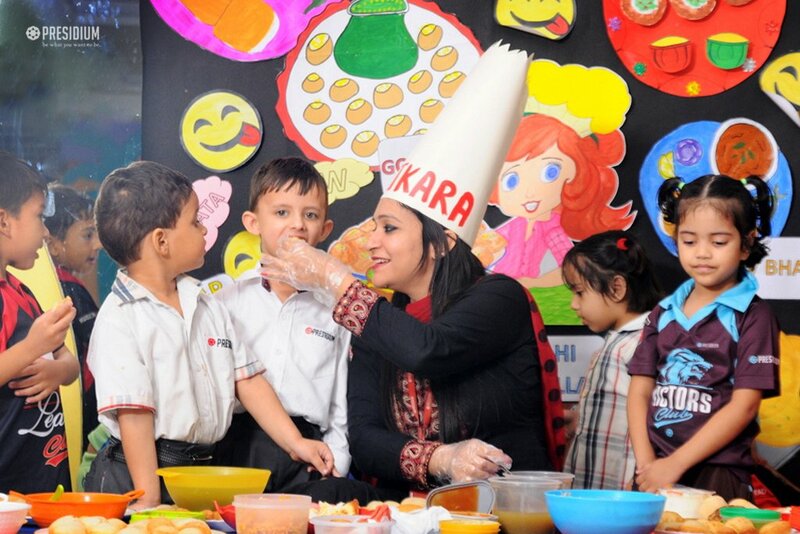 Through this activity, the children developed their social skills by sharing their dishes with their teachers and friends as well. 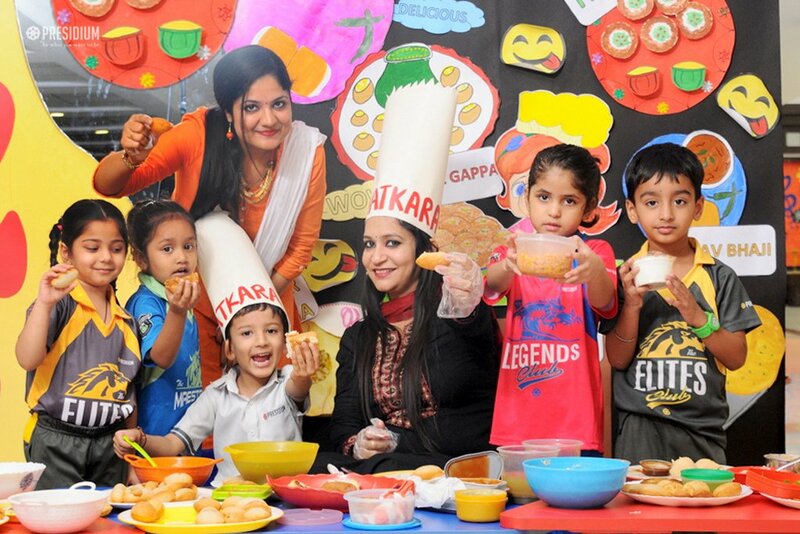 Overall, it was a great treat for the tiny tots!